"The New Strategists provides enlightening insights and practical tools for business professionals, managers and executives at every level. For readers who seek success in today’s business and corporate environment, this book is a must. Excellent!" The Columbia Review. Why is this book so unique and worthwhile? Unlike the multitudes of business books that cater either to the CEO at the top or to the dreaming startup entrepreneur at the bottom, The New Strategists provides enlightening insights and practical tools for business professionals, managers and executives at every level. 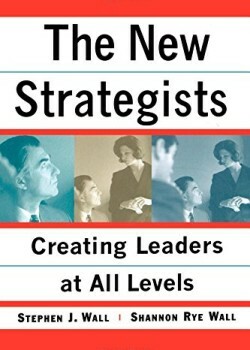 The New Strategists delivers on its title’s promise—readers will find new perspectives and new paths for achieving success through the practical exploration of ideas and relevant facts that energizes top notch strategic planning and implementation. Furthermore, the book meets the needs of the new economy and rapidly evolving business world because it embraces, rather than rejects (as most executive-directed books do) the ‘leveling out’ of corporate structure; today’s employees at every level are expected to take initiative and develop a strategy for success—and are rewarded richly when they do so. In summary, for readers who seek success in today’s business and corporate environment, this book is a must. (Note that the appendixes add incredible value with useful questionnaire and guide for actually developing and succeeding in strategic planning process.) Excellent!